Click here for a table showing learning activities matched to apps/online tools/software for different devices/platforms. Click here to suggest a tool to be added to the list. A device neutral classroom is one where the learning activity does not presume that a specific tool will be used to undertake the activity – instead, in order to demonstrate learning, the pupil can choose whichever tool they have available which meets the requirements. Rather than seeing the tool as the focus for the learning, instead in a device-neutral classroom the tool should be chosen to suit the intended learning – and that the tool may be chosen by the teacher or the pupil to best suit the task to support the learning or demonstrate understanding of the learning. 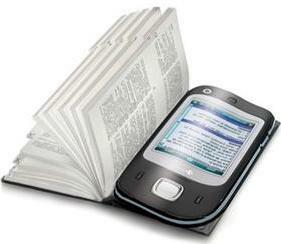 So for a task which involves presenting information in a written form it does not matter whether all pupils have the same word-processing package – such as Microsoft Word on a PC or a text app specific to a mobile device – the important point is that the pupil knows how to use it and that they can share the end result with others. http://makelearn.org/2013/06/07/app-suggestions-for-learning-activities-in-byod-classrooms/ – this provides a table with typical learning activities in a classroom, with suggested computer software, mobile device apps for different makes of device, and online tools which may work across all platforms. The link below provides a host of tools in categories of tasks/skills such as note-taking, research, presentation, collaboration, writing, study, multimedia and organisation. The JISC Mobile Learning InfoKit is an online guide to the issues surrounding a move to using mobile devices and collated responses and advice from those establishments which have made the change. While written with tertiary education in mind the InfoKit equally applies in most areas to schools. Welcome to the site to support support Falkirk Council education establishments in their use of mobile devices in learning and teaching. This blog is designed to support Falkirk Council education establishments in their use of mobile devices in learning and teaching.